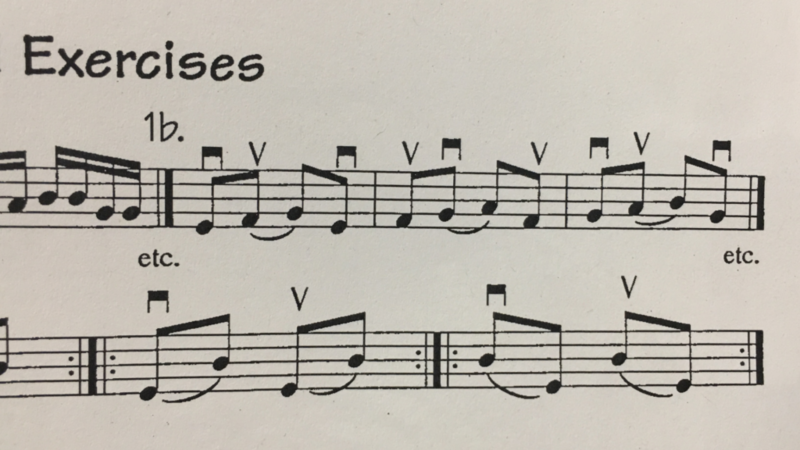 This series of blogs about bowing technique features pieces of music to help you (or your students!) develop different types of bow stroke. This week’s post introduces the Son Filé stroke. 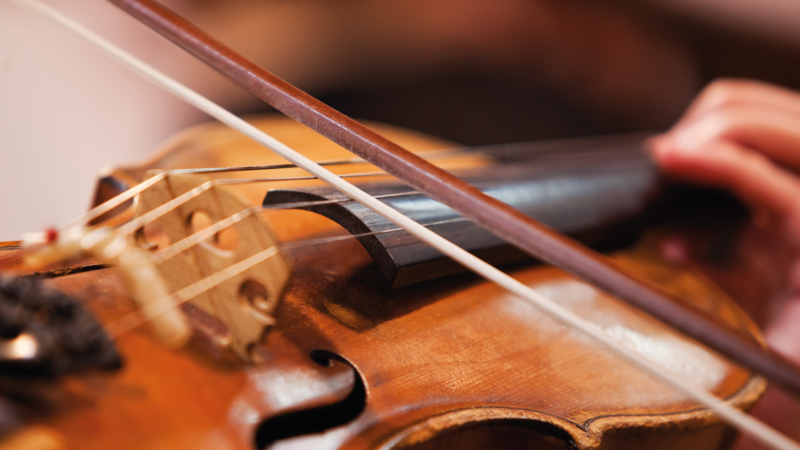 Son Filé means ‘spun sound’ and is the term used to describe a sustained note played with the whole bow. Before playing these long bows of eight beats at a time, start with two beats to a bow. Count “1, 2” slowly, out loud, making sure that the bow is divided exactly in half for each beat. Counting at the same speed, progress to four, dividing the bow into quarters. Next try six, with three beats in each half of the bow, before attempting eight. Listen to your sound at all times. Is it beautiful? If you can, ask a pianist to play the accompaniment to you. Try singing your part, with the dynamics, before you play. What does tranquillo mean? Tip: To help a smooth bow change at the heel, imagine a wave on a calm moonlit night gently changing direction. Your arm, wrist and fingers should float freely. Use these questions and tasks to review what you just did, and think about how you could make it better! Did you find this easy to play? 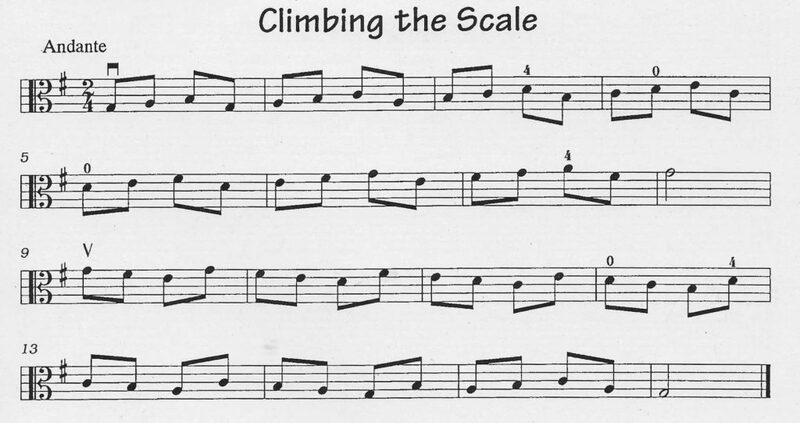 What can you do to help make the long notes easier to sustain? Were you listening to the piano? 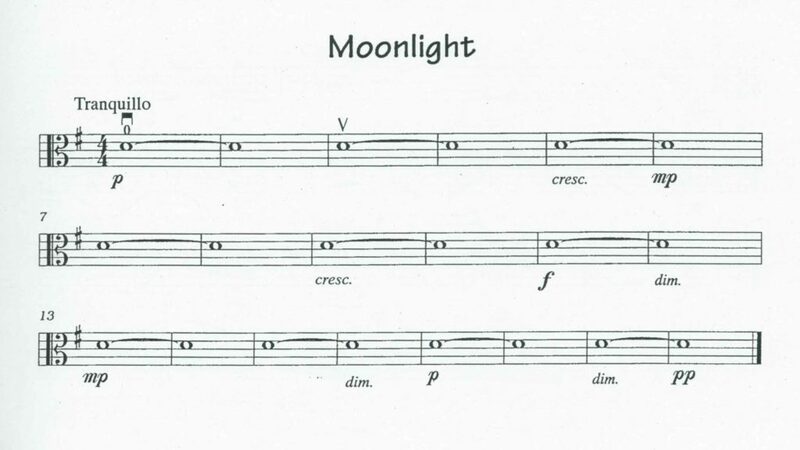 What happened to your bow stroke during the crescendos and diminuendos? Was your bow in the same place on the string all the time? Did you have to move the bow faster or slower? Play a very slow scale of D major. Mentally divide the bow into four sections, and really listen to the sound that you make. This series is based on Bow Strokes for Violin, Bow Strokes for Viola, and Bow Strokes for Cello by Caroline Lumsden and Anita Hewitt Jones. 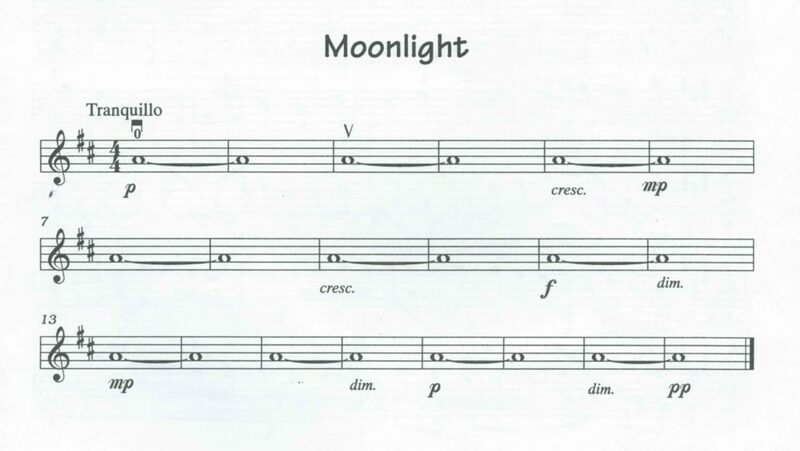 Piano accompaniments for all pieces are available in the printed versions! 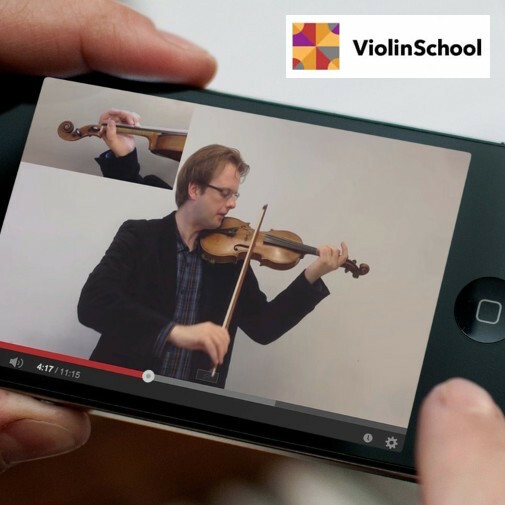 Our new series of blogs about bowing technique features pieces of music to help you (or your students!) develop different types of bow strokes. 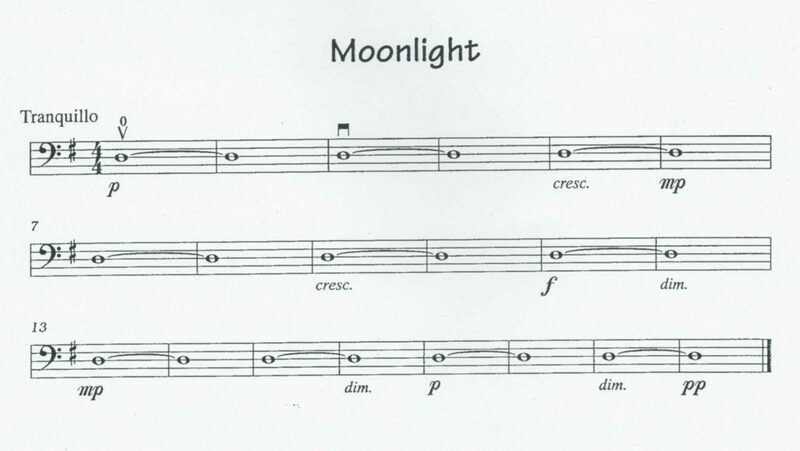 This week’s post introduces the Legato stroke. Legato means smooth or seamless. A legato stroke is a succession of sustained notes. String Crossings: When these notes occur across the strings you need a pivoting movement to help make the string crossing as smooth as possible. Think of painting a letter C or turning a key in a lock! The bow should lean towards the new string while still playing the old one. 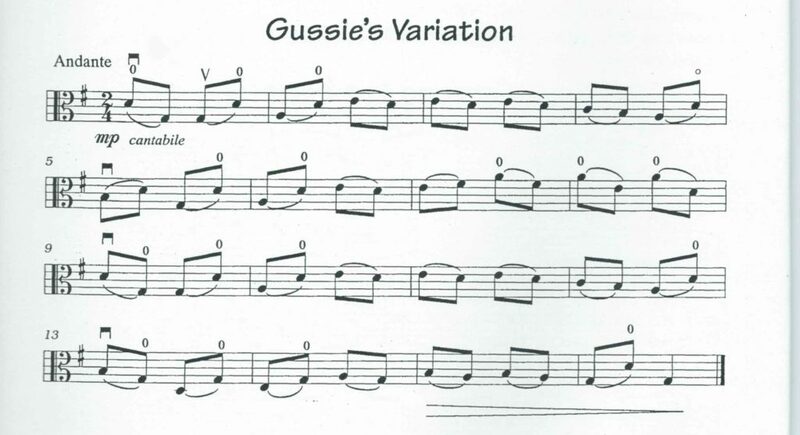 Before playing Gussie’s Variation, first try ‘Exercise 2’ (images below). Use the whole bow (WB) for each slurred pair. Which is easier to play, and why? What do you have to do with your right arm when crossing strings? 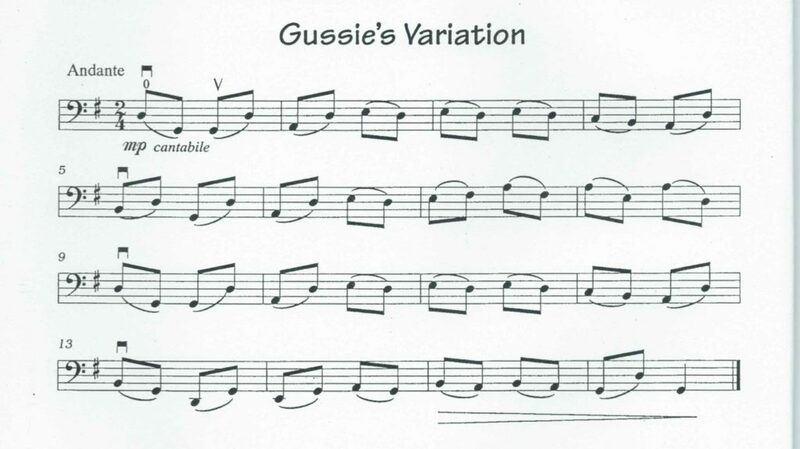 Check the key signature and finger pattern before playing Gussie’s Variation. Tip: Imagine you are a puppet with strings attached to both your elbows. This will help keep elbows swinging freely during string crossings. 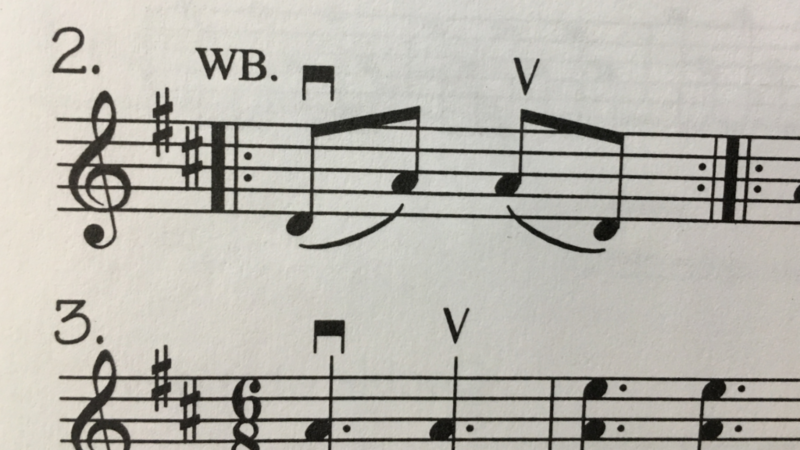 What other ways could you play this piece? Have you tried starting on an UP bow? Is the movement of your right arm the same? What about dynamics? Add your own to the music. How far from or how close to the bridge would you place the bow if you wanted to play softly? … very loudly? What about the angle of the hair? 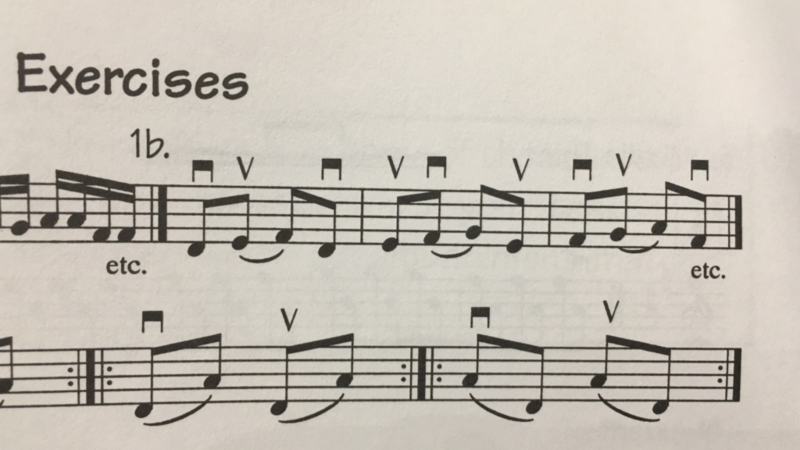 Violinists/Violists: What is especially difficult in bar 7? 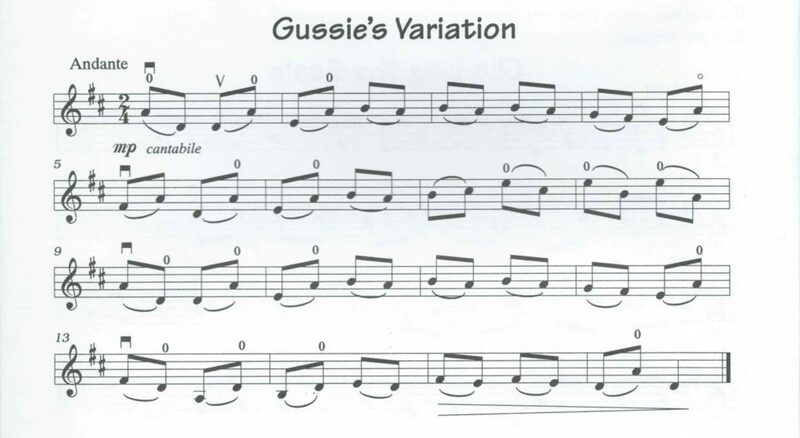 Play Climbing the Scale from slurring the quavers, as you did in Gussie’s Variations. Play other easy slurred pieces to improve your legato stroke. 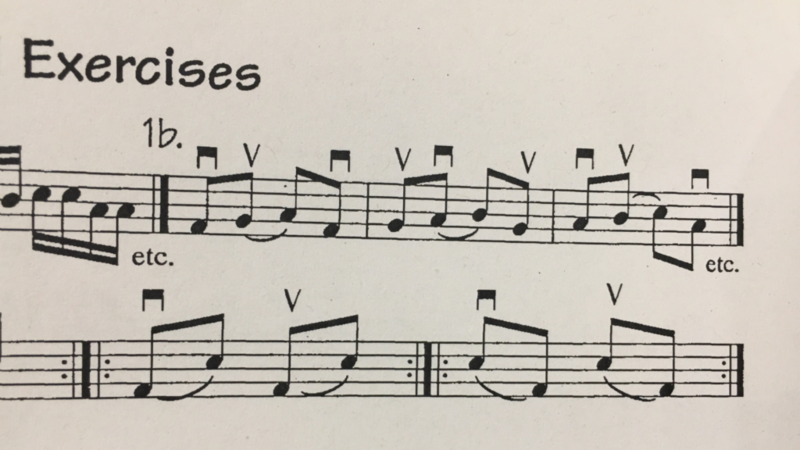 Our new series of blogs about bowing technique features pieces of music to help you (or your students!) develop different types of bow strokes. Remember to check that you have a good, relaxed bow hold with a bent thumb and flexible fingers. This week’s post introduces the Détaché stroke. The Détaché stroke is the most common type of bow stroke. It’s called détaché because the notes are detached or separated from each other by the change of bow. 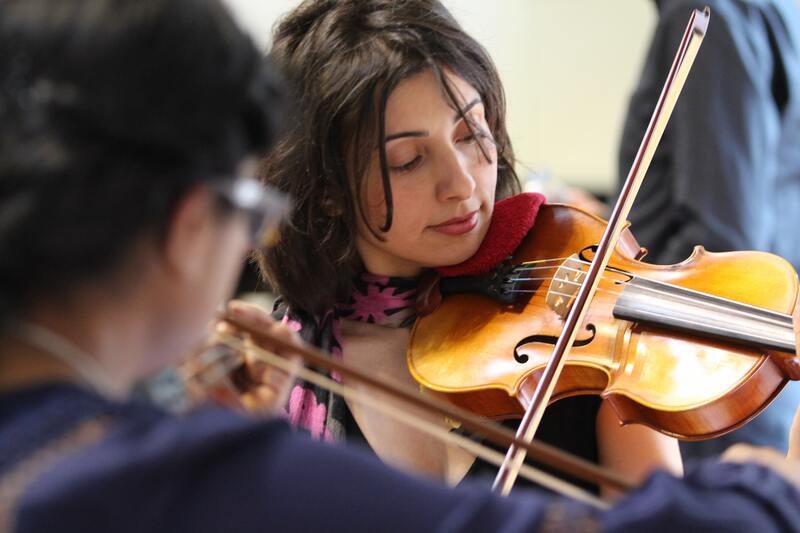 Violinists/Violists: To play détaché in the upper half (UH) of the bow, think of a flowing ‘out and in’ stroke, moving the lower arm from the elbow joint. Ensure that you have a good point of contact with the bow on the string. 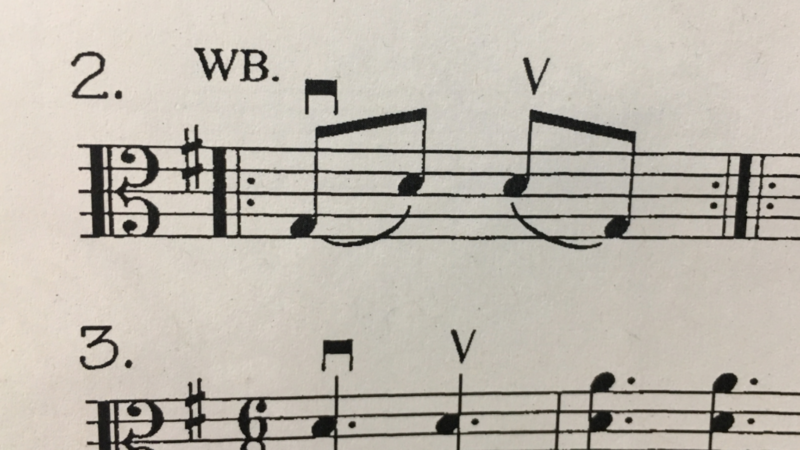 What key is this piece in? What finger pattern should you be using? Violinists: Put your bow on to the D string at the middle. 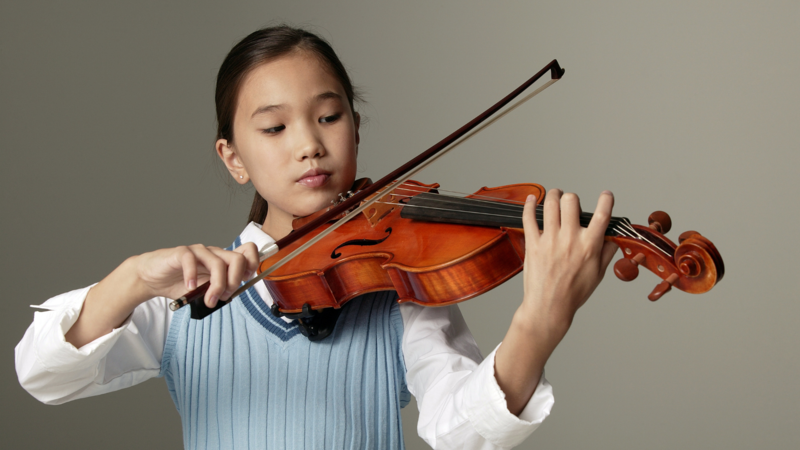 Do your bow, violin, upper and lower arm form a square shape? Violists: Put your bow on to the G string at the middle. Do your bow, viola, upper and lower arm form a square shape? Cellists: Rest your bow on the D string about one third of the way along. Is your bow at right angles to the string? Which are the hardest bars and why? What happened to your elbows when you changed string? Violinists/Violists: Which part of the arm did you use when playing in the UH? All: Try playing detache in the lower half (LH) of the bow. How is it different? 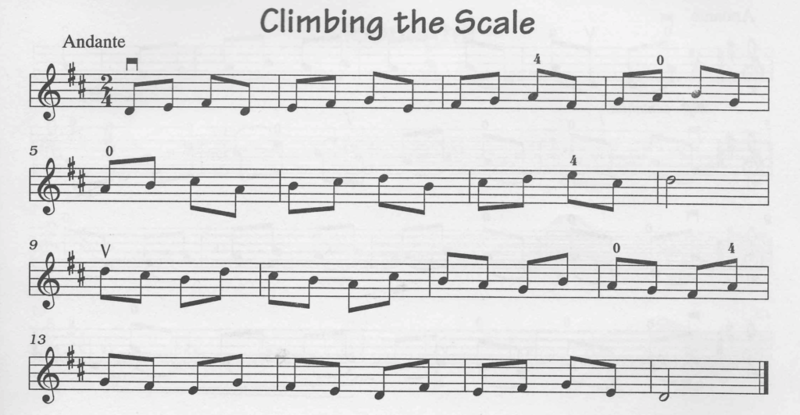 Learn Climbing the Scale from memory. Try starting with an UP bow. 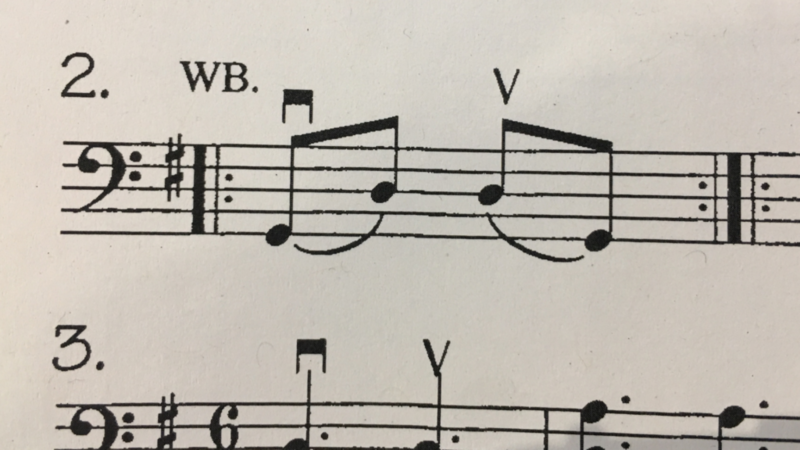 Violinists/Cellists: Try playing it starting on the G string. 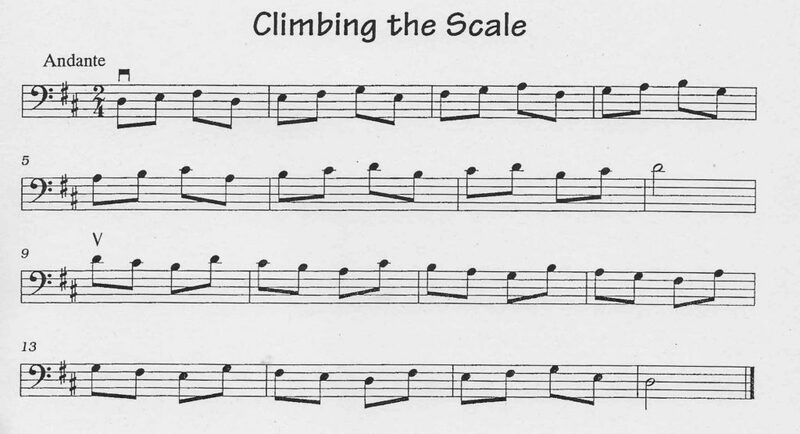 Try doubling the notes to semiquavers (shorten the bow stroke). Play at the middle of the bow. Keep your wrist free and flexible! I’m very excited to announce that we are relaunching Musicland Publications today! 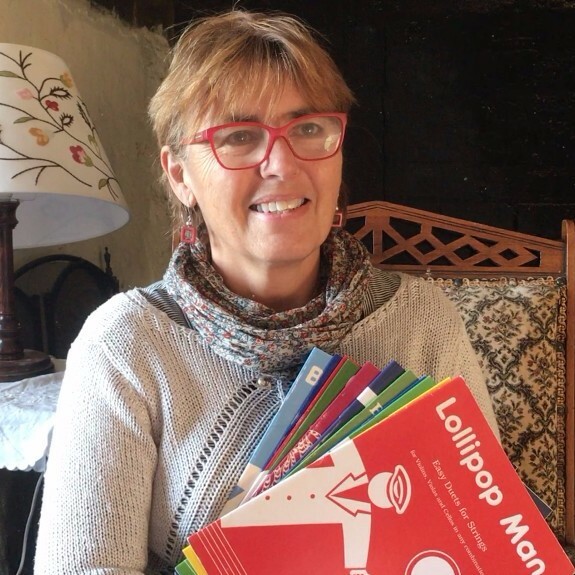 Our brand new e-commerce website at www.musiclandpublications.com features some of our best-loved string sheet music and educational resources. The catalogue includes favourites such as Bread and Butter Pudding, Lollipop Man, the ever-popular Ragtime Serenade and Rumba, and many more! Our new covers – gradually rolling out across the catalogue! Some of our older ‘Classics’ – now available again for next day despatch! The whole of the Musicland Publications catalogue will be available again soon through most major sheet music retailers, including in Europe and Australia. We can also ship directly to anywhere in the world from our new ‘cottage warehouse’ in Gloucestershire! In recent years I have taken a step back from running the business in order to care for my husband (and Musicland co-founder!) Alan, who is, as many of you know, coping with Alzheimers. However, I’ll be remaining closely involved with updating the catalogue and planning our new publications – as well as delivering a limited number of workshops each year. 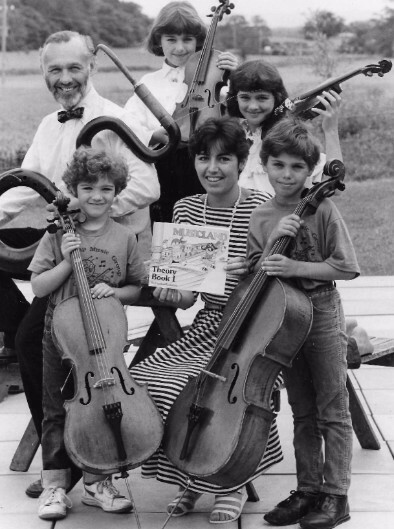 But I’m thrilled to announce that day-to-day management of Musicland Publications is now passing to my nephew, Simon Hewitt Jones and his team at ViolinSchool in London. Together we will be creating a plethora of books, video programs and apps for learners of all ages, and developing plans for Musicland to become a state-of-the-art digital publisher for string music and educational resources. Musicland is going to keep me busy for at least another 20 years! I know that Anita Hewitt Jones (my mother, whose popular chamber music compositions make up the bulk of the early Musicland catalogue) would be delighted that Simon is at the helm, and that the family business is passing to the ‘third generation’! 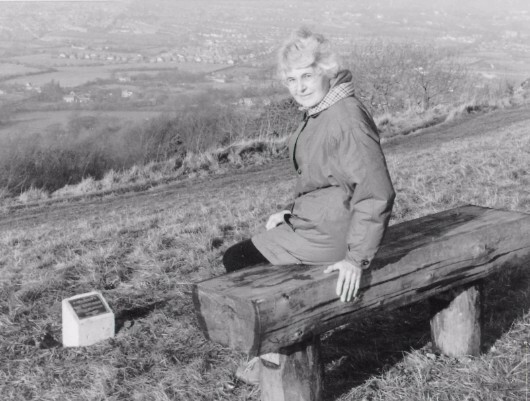 Anita was a deeply passionate advocate of music education, and we’ll be holding close to her values and legacy as we move Musicland forward into the digital age! We’d love to let you know about all our new music and publications as they are released, via our new monthly newsletter. (You can unsubscribe at any time using the link at the bottom of each email). And please do forward this to any friends/pupils who might enjoy the music that we publish. We want the next generation of young string players to discover the joy and excitement of playing music together! With all good wishes for your music-making in 2017 and beyond!